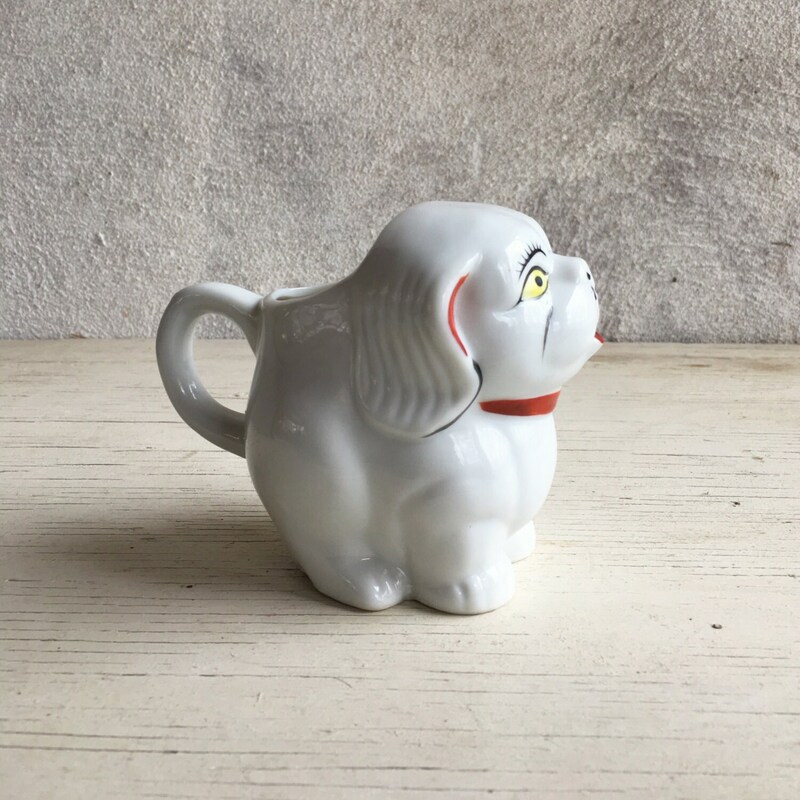 Here we have a porcelain hand painted dog pitcher or creamer, or a dog jug--in an almost Asian style. 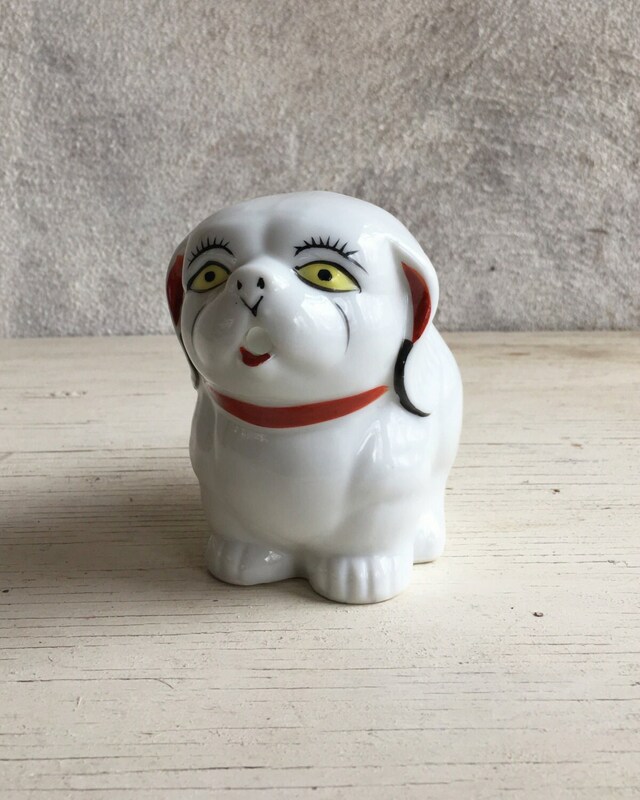 I suspect this was produced in Japan in the 1950s although we don't for sure as it has no hallmark or tag. What we do know is that it's adorable, with long ears and cute eyebrows, and a squat little body, and the cutest mouth spout. 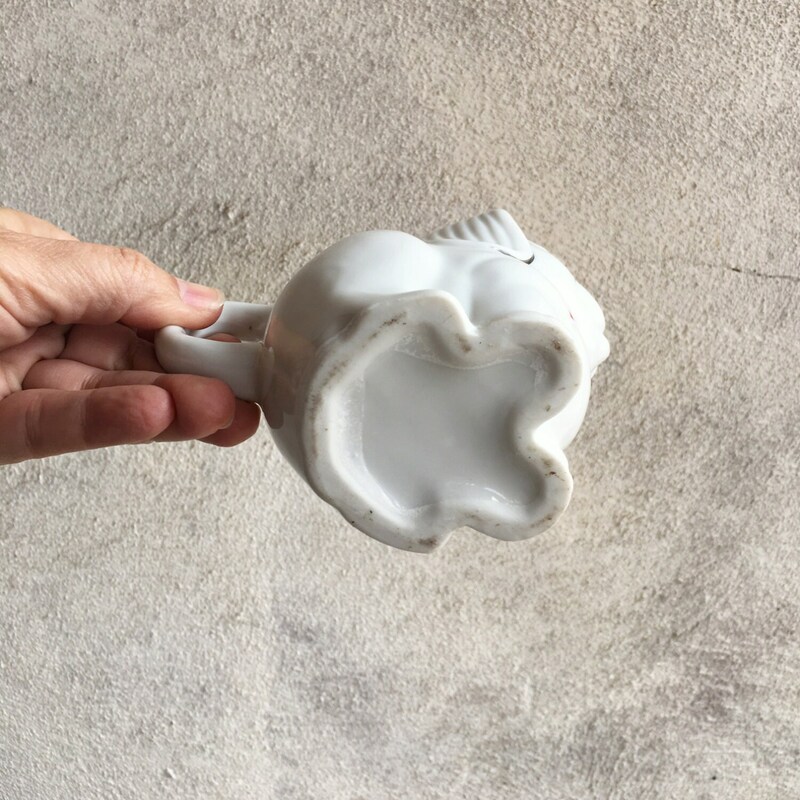 Just imagine what a conversation piece it will be as your guest pour cream into their coffee! Stands just under 4” tall by about 5" long and 3" wide. In great vintage condition. 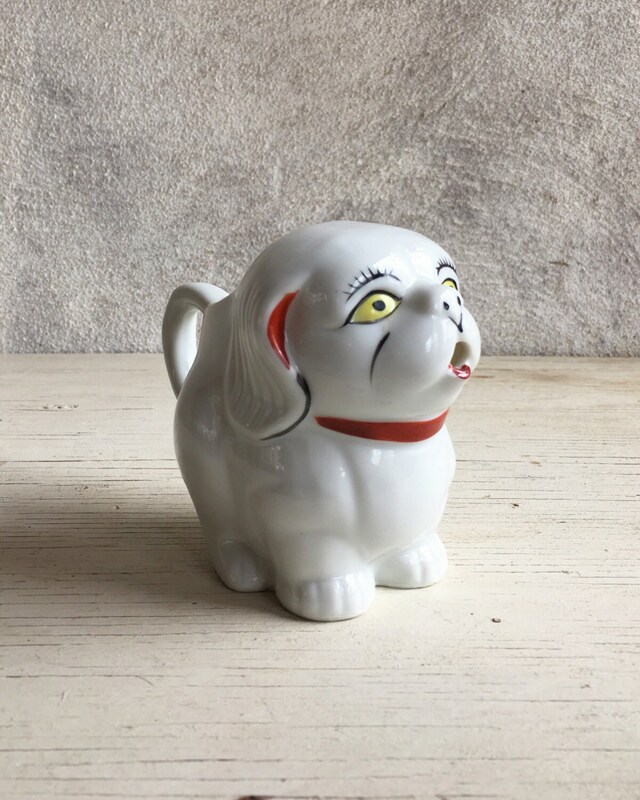 Came from the estate of a woman who collected very unusual creamers, and this was one of the more adorable. 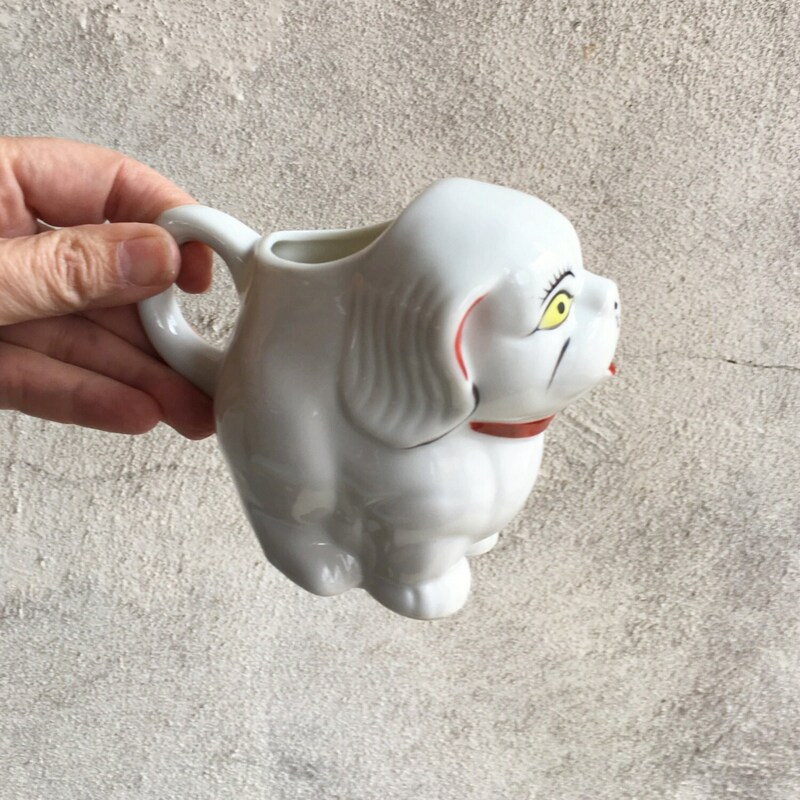 For the lover of dogs or collector of creamers.